Transylvania Green Way walking tour. Today (30th Oct 2013)I ventured out of Bucharest to go with Mihal on his two day Green Way walking tour to Transylvania. 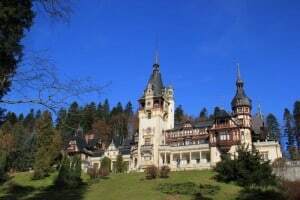 We left on the train in the morning with our first stop at Sinaia to visit the Royal Palace of Peleș Castle I’m sure culture vultures could easily spend a week here, for me, I just wanted to be on top of the magnificent Bucegi mountains that overlook it., although we did take a peek at the art nouveau exhibition. Next stop on our whirlwind tour was Brasov where we changed trains for a small independently run train to Zarnesti . At Zarnesti it was time for some real walking in the The Piatra Craiului National Park, we ventured up the gorgeous limestone gorge with it’s documented rope climbs at Surplomba & Faleza Arcadel we turned around and walked up the hill to our nights accommodation at Pension Pepino in Magura. The landscape is very reminiscent of what Switzerland mountain villages must have looked like 50 years ago. After an excellent dinner & good nights sleep on a glorious day we ventured of again, up a very steep slope and onto a fantastic ridge with amazing views down to Zarnesti and across to a very rocky ridge in the distance. 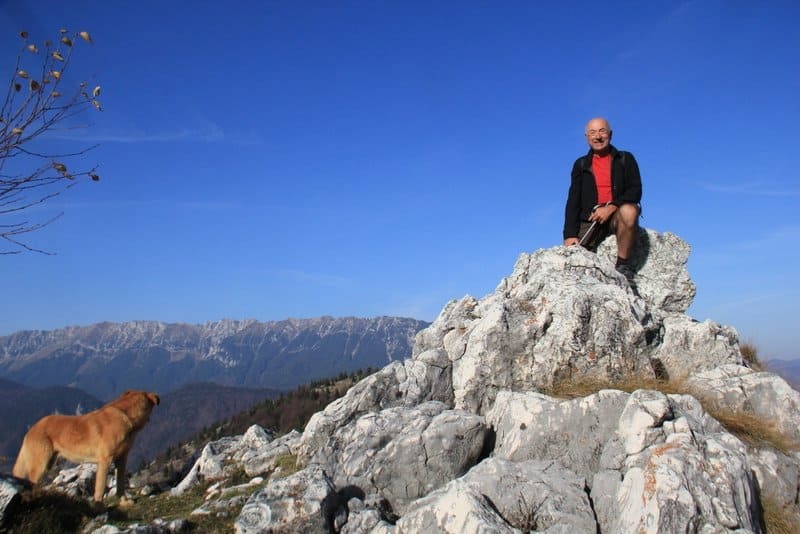 A splendid walk accompanied by a dog that followed as from Magura. We descended down to Bran admiring Dracula’s castle on the way. Then it was a bus to Rasnov where we walked up to the remains of Rasnov Citadel. Another bus ride and we were in Brasov and its splendid medieval city centre, another place I intend to revisit! All in all a great two days of a whistle stop tour with excellent walking. A good introduction to Transylvania and Carpathian mountains. The price for just me was on the high side but obviously if you go as a group of 4 or so it would be considerably cheaper. Mihal is an excellent guide, very flexible in accomodating your needs and speaks very good English. 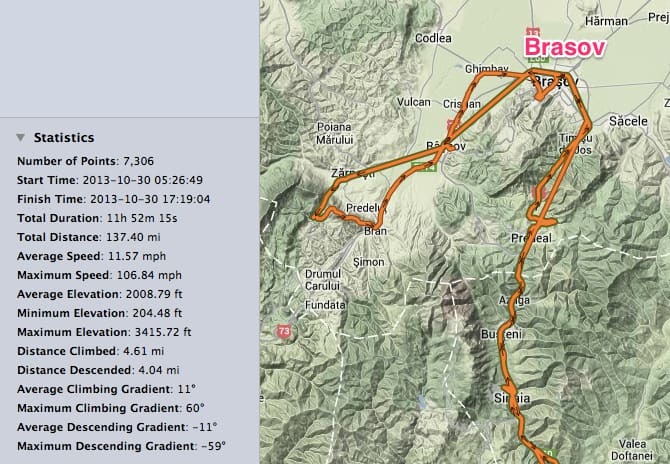 The photographs of the days are here and here and here is a overview of the gps trails.